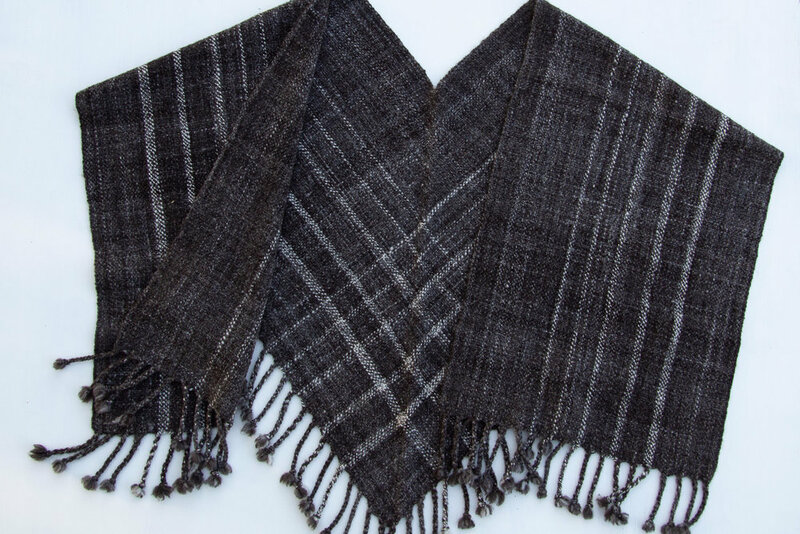 Shawl woven with naturally dyed local wool. This scarf features the natural colors of the Jacob sheep. This throw is woven entirely of wool from the Anderson Ranch in Solano County. I spun the wool from Jacob ewe, Jolene, into a singles yarn and then wove the shawl. The design is great for accentuating the randomness of the yarn color. I teach a v-shawl class. Click on the photo.